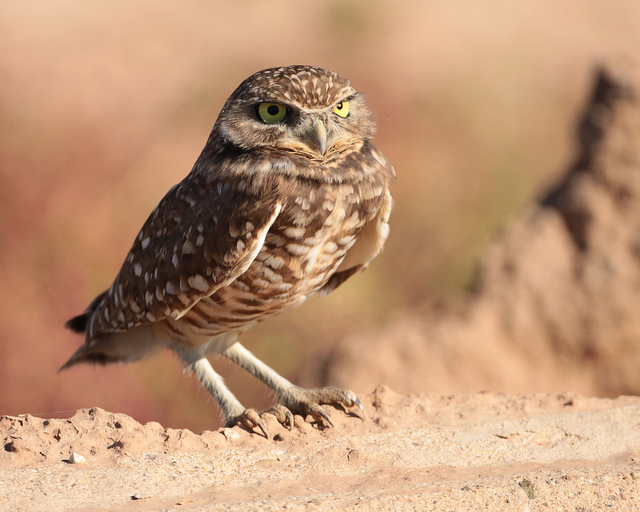 There are a number of things which separate the burrowing owl from other species. The first clue is in the name. 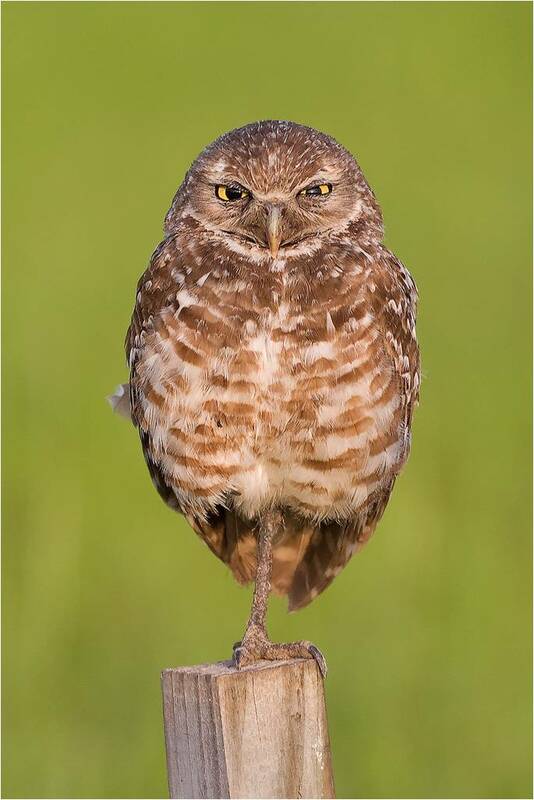 Another is that they are the smallest species of owl on the planet and more often or not they do not weight more than half a pound in weight and reach around ten inches in height. 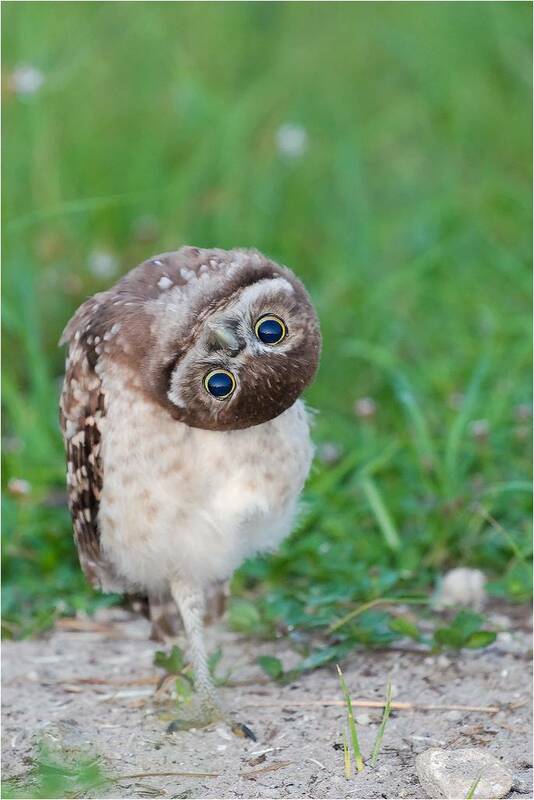 They also come out in the day time, unlike most other owls. 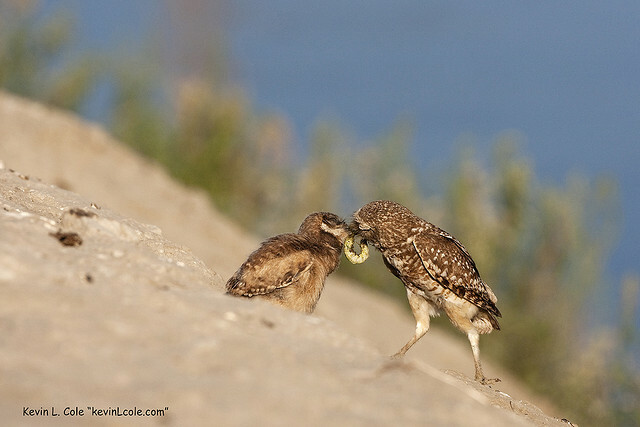 That is not a snake that the adult burrowing owl is feeding to its chick. It's a caterpillar - which goes to show just how small they are. 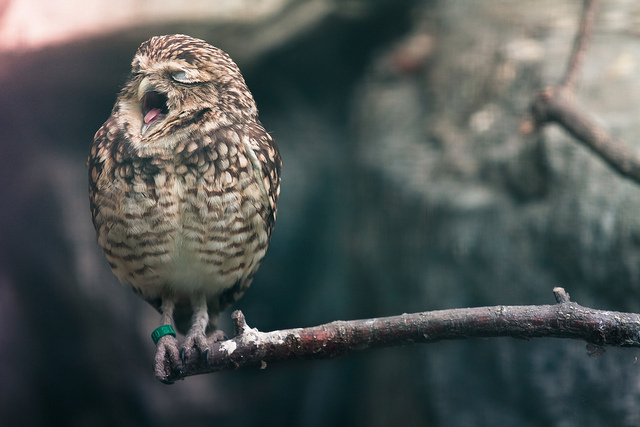 They are also much more relaxed around humans than other species of owls. 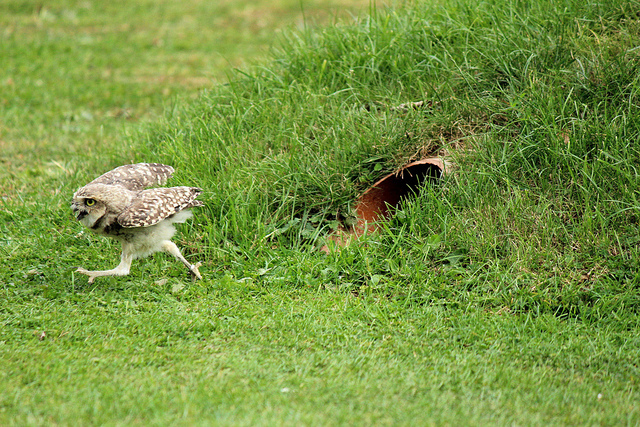 They will happily colonize areas like airports and golf courses and have even been known to nest in larger gardens. As long as there are open areas and a good water supply they seem to be content to live near us. 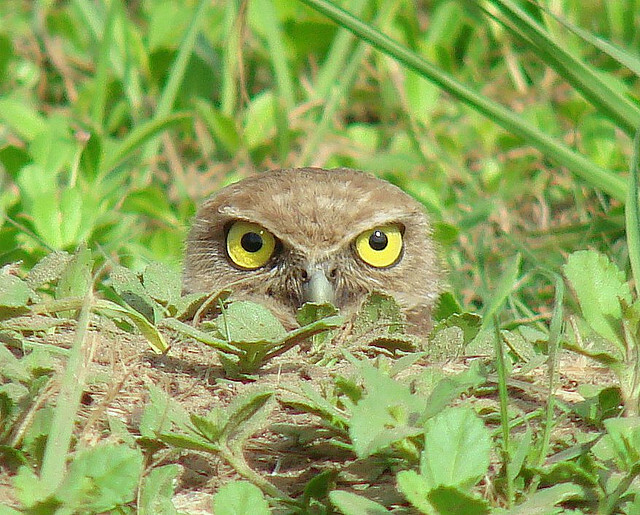 This tiny owl is found throughout North and South America. They prefer to nest in grasslands or even deserts, preferring surroundings with little plant life and where it is nice and dry for them. They spend a lot of the day outside their roost, which is often an old squirrel or prairie dog burrow. 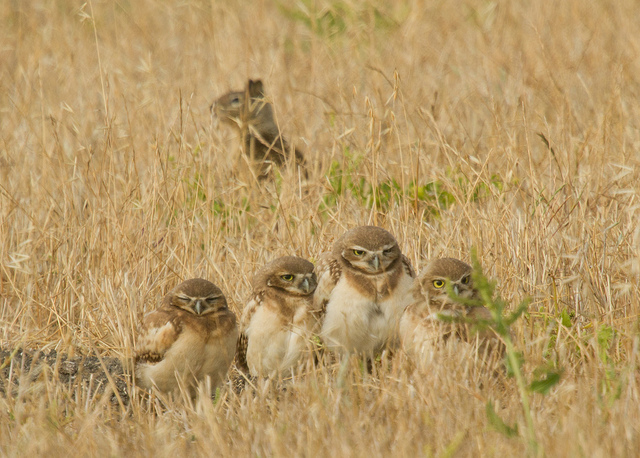 You can see how minute they really are when you see how large the squirrel in this picture looks - even though it is behind the burrowing owls. 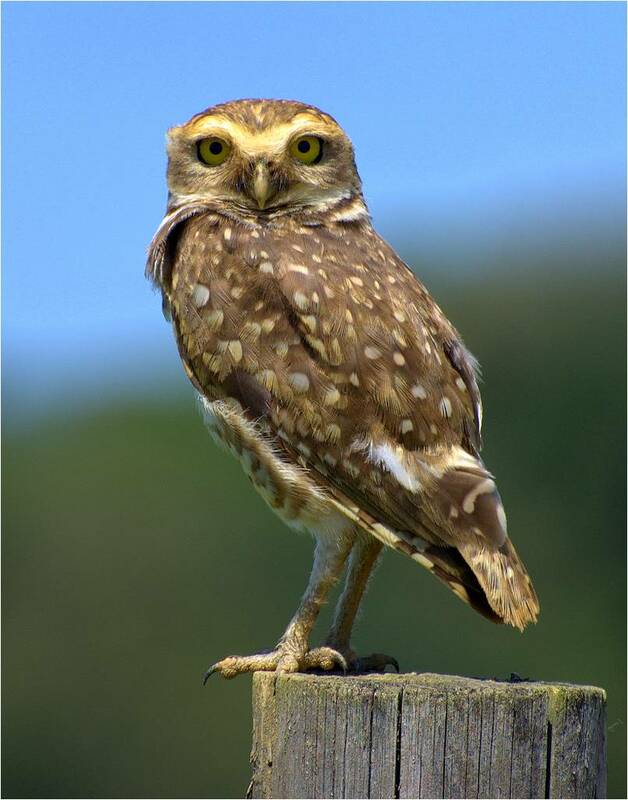 Although you can see burrowing owls in the day time they will often retreat to their nest when the sun is at its highest and have a snooze. 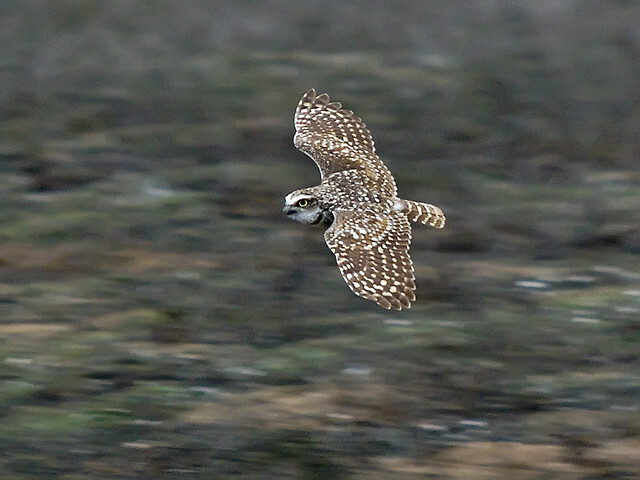 One aspect of their behavior that they do share with other owls, however, is that they tend to hunt at night, from dusk till dawn. 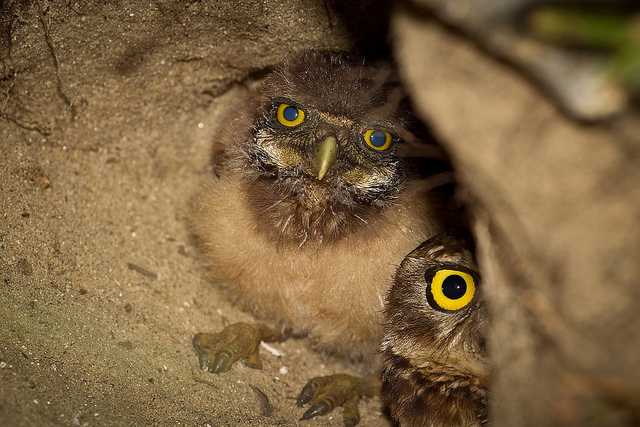 Their extraordinary night vision makes this the best time to go on the hunt for food. This means that their daytime activities are more often than not social – they do enjoy basking in the sun as a family. 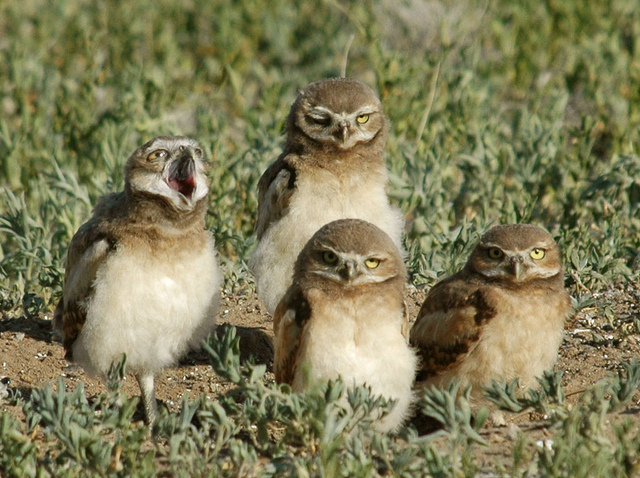 Talking of families, the burrowing owl can lay up to an enormous twelve eggs. However, usually only about four or five will make it to adulthood. 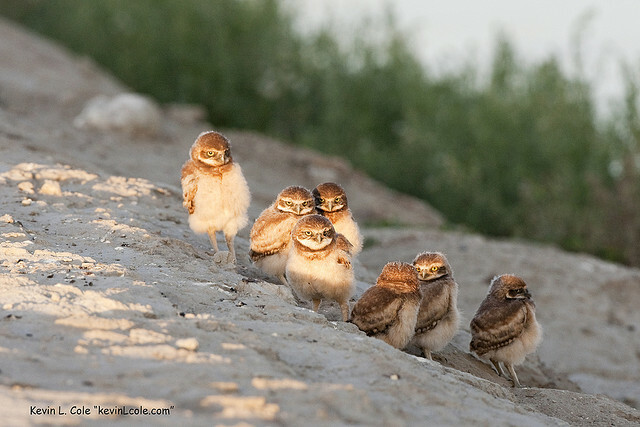 Although the burrowing owls will mate for life they sometimes live in colonies – there is safety in numbers. However that does mean that the occasional male is unable to resist the temptation of taking on two mates. It is difficult to tell the genders apart. They are close in size but the males will have slightly longer wing and tail length and are usually appear lighter in color. This is because the males spend more time outside the burrow. The feathers are the same color but the male’s are bleached a lighter hue by the sun. 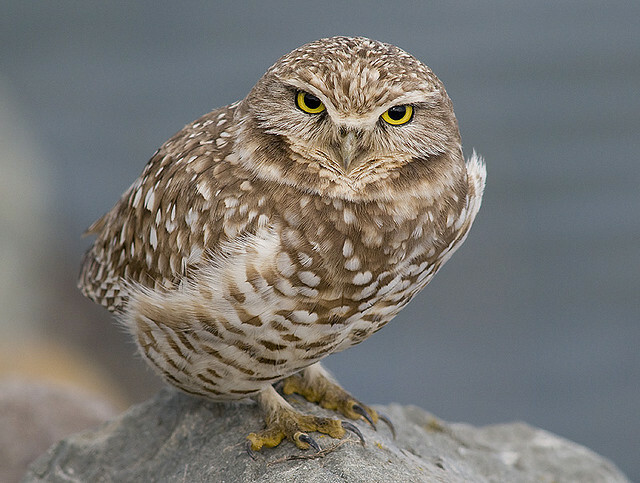 The burrowing owl is only a little larger than the American Robin. They are about 7.5 (19 cm) inches long and have a wing span of about 20 inches (50 cm). 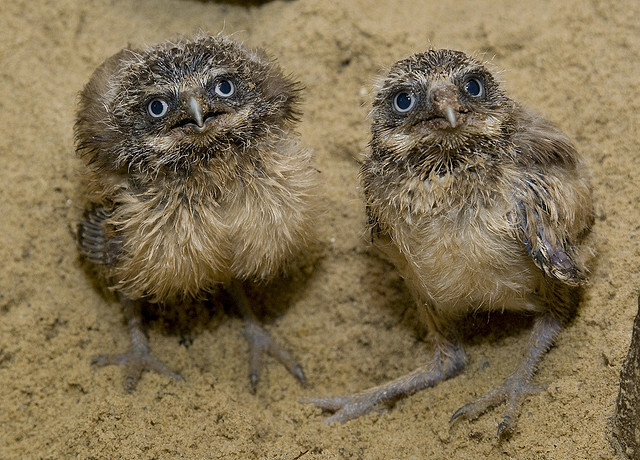 Possibly because of their tiny size they have, unlike other owls, adapted to eat seed and fruit. They particularly like prickly pear. When they are hunting they will perch and watch, often on one leg. When they catch sight of their quarry they will swoop down upon it, even running after it on foot. They are also adept at spotting flying insects which they catch by lunging upwards in flight. 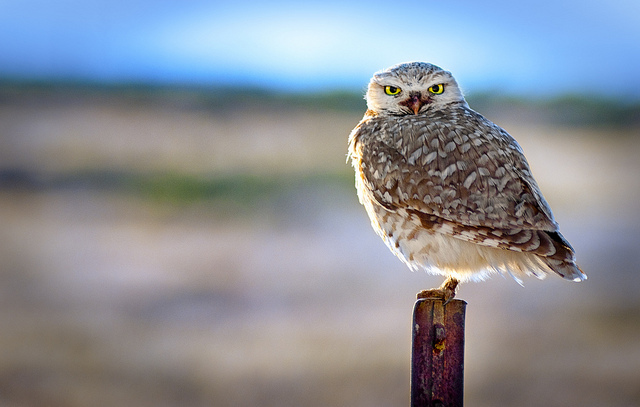 You have already seen the size of the owl compared to a ground squirrel so you might assume that they steer clear of them. 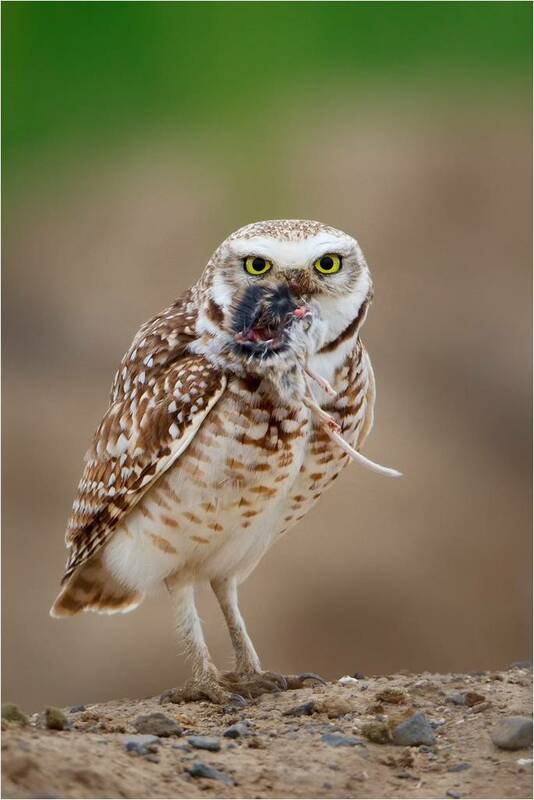 Remarkably, however, the burrowing owl has been known to hunt and kill that feast known as squirrel. They sometimes use diversionary tactics when hunting. 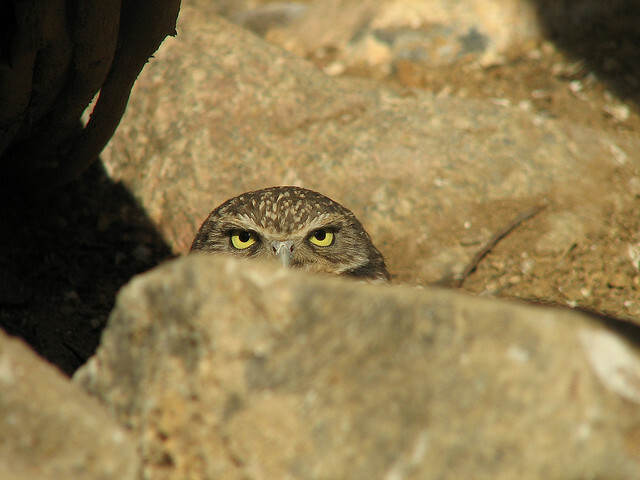 When they have spied their prey they creep up on it from behind rocks. They slowly but surely get closer and closer. Then they take a pebble in one claw and throw it over the head of their prey. 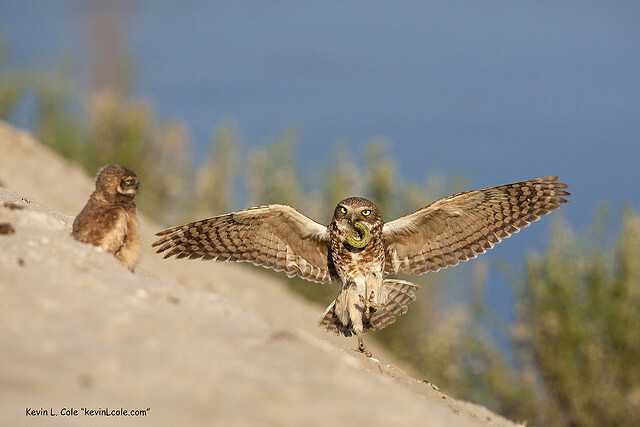 When the prey turns around to see what made the noise, the owl silently leaps upon it and that’s dinner caught. 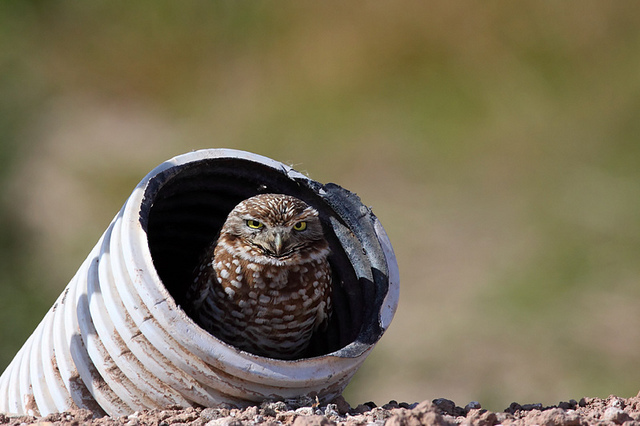 It is sometimes assumed that the burrowing owl does not create its own burrow as often they will take over those abandoned by mammalian species. Yet if the ground is light they will create their own. They will even use man-made holes – as long as they can quickly and easily get to the surface and away from the burrow. 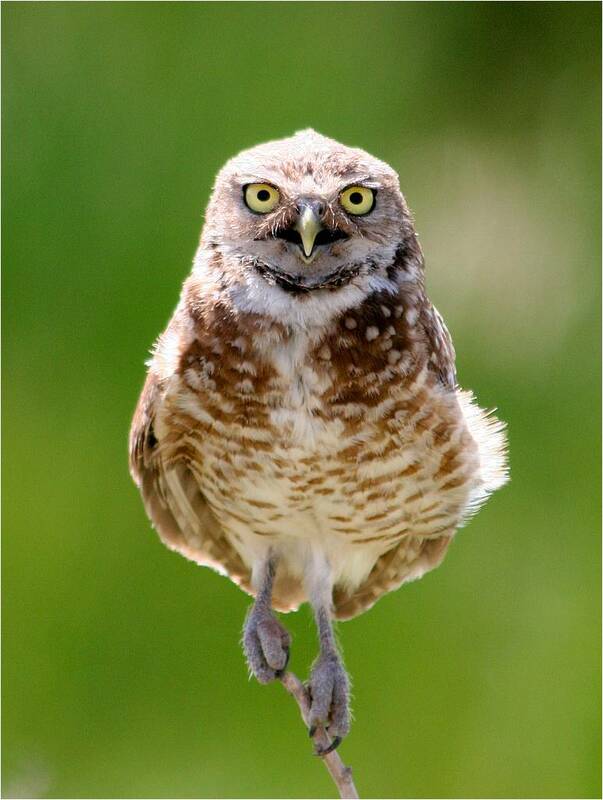 It does not take the chicks long to develop the ability to fly. 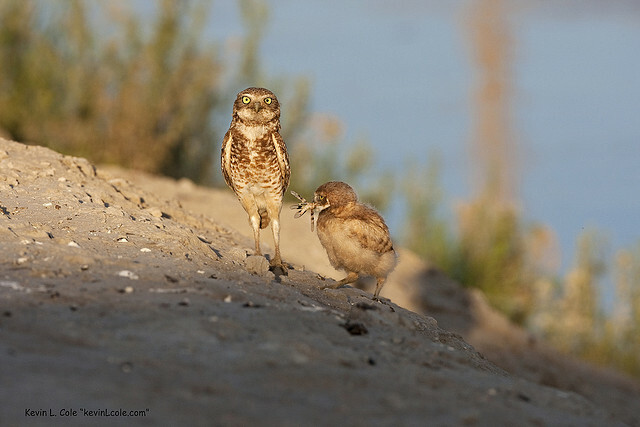 In less than a month they are able to leave the nest, take short flights and learn how to hunt. However, mom and dad will usually continue to help out with food for a further two months. After that the chicks are on their own. One strange habit they have is to pick up mammal dung and dump it at the opening of their burrow. 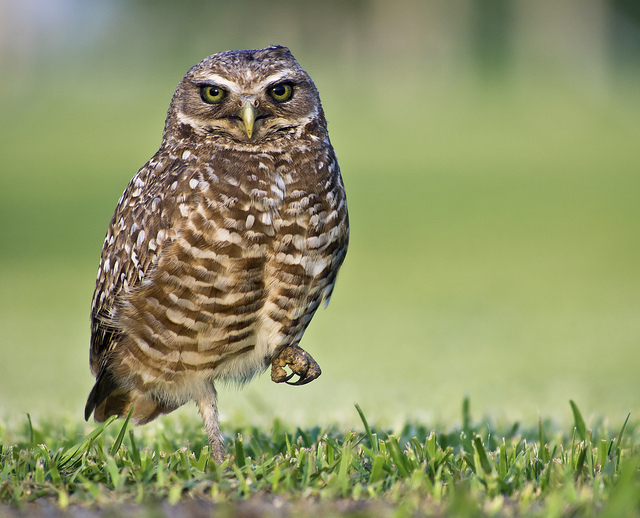 It was thought, first of all, that this was to stop predators sniffing out the young owls before they could learn to fly. It is now thought that they deposit the dung so close to the burrow to attract insects which they then kill and feed to their chicks. 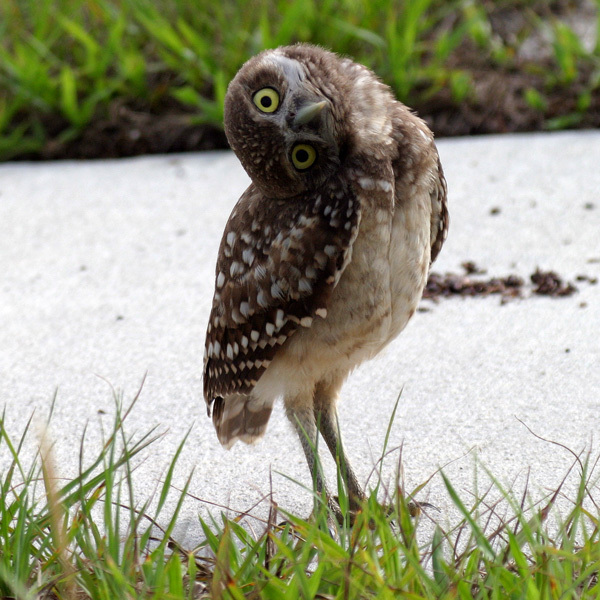 Burrowing owls like fast food, it seems.